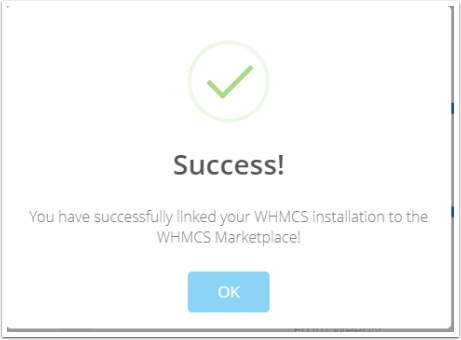 MarketConnect is another feature developed by WHMCS to increase your revenue stream. WHMCS has partnered with great companies such as Symantec, Weeby, SiteLock, and SpamExperts to allow you to offer premium services and upgrades to your new and existing customers. To learn more about MarketConnect, check out the MarketConnect Information Page. On the next screen, choose the Login/Create Account button. 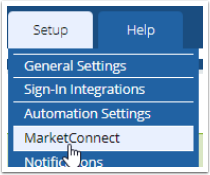 If you have not yet created a MarketConnect account, you can do so by choosing the option on the bottom of the popup window. 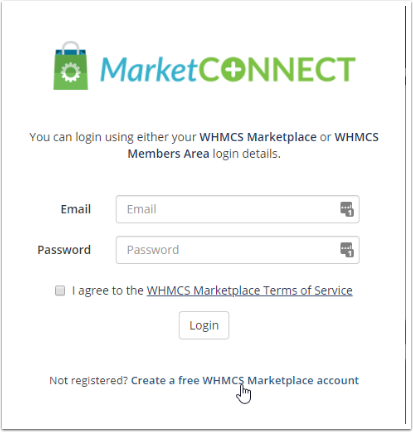 If you already have created your MarketConnect account, or wish to use your WHMCS Members Area Login, use those details on this screen. 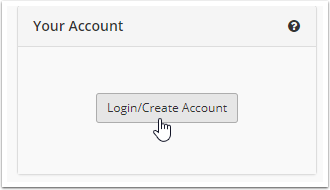 After signing in or signing up for an account, you will be presented with a success screen and then you are able to continue setup! If this is your first time using the MarketConnect system, it is likely you do not have any points yet. Points are deducted from your MarketPlace account when a customer purchases a MarketPlace service from you directly. 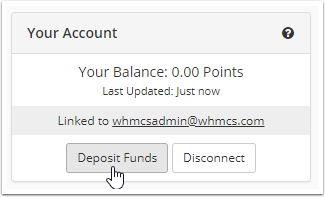 To get started, simply choose the Deposit Funds to add points to your account balance. 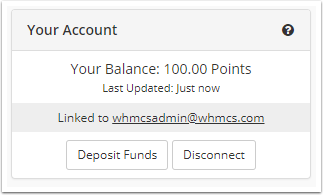 Once points are added, you are now presented with your real-time point balance information and you are ready to continue setting up your MarketConnect offerings.